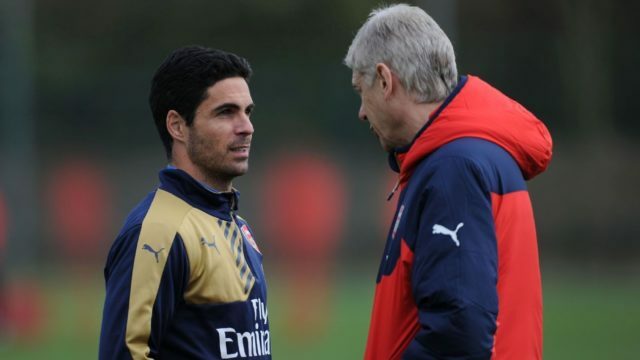 Mikel Arteta has “all of the qualities” required to become Arsenal manager, their legendary former handler Arsene Wenger told Bein Sports. The 36-year-old Spaniard — who played 150 matches under Wenger at Arsenal — is imbued with the spirt of the Gunners, added Wenger, although the Frenchman was at pains to say he didn’t wish to influence the board’s decision. Arteta, presently an assistant coach to Pep Guardiola at champions Manchester City, is one of several names that have been linked to filling the huge vacuum left after Wenger stepped down following 22 years in charge. “He was a leader, has good passion for the game, knows the club and knows what is important at the club,” said Wenger. Other names that have been mentioned include Massimiliano Allegri — though he says he would have to be fired to leave Italian champions Juventus — former Chelsea and Real Madrid handler Carlo Ancelotti, who reportedly last month turned down the chance to coach Italy, and Arsenal icon Patrick Vieira. Arsenal — who finished without a trophy last season and failed to qualify for next term’s Champions League — are confident a new manager will be named before the World Cup begins on June 14.